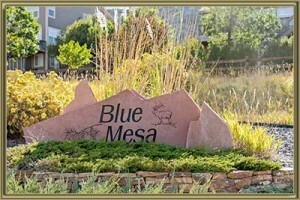 The Blue Mesa neighborhood is an exclusive part of Roxborough Village in southern Littleton. These 28 large 2-story and ranch estates were built by Ryland Homes in 2001. The spacious floors range from 3,300 to 4,800 finished square feet which includes a private walk-out basement. There is an annual HOA fee which provides grounds maintenance for the common areas and trash pickup for residents. Outside the homes sit on third acre lots provide ample space and privacy from neighbors. All of the homes include a three car attached garage and large deck for enjoying the expansive views. These homes provide true outdoor Colorado living and are close to Roxborough State Park, Chatfield State Park, and Waterton Canyon. See what your home is worth With an Instant Home Valuation Online. Want advice on selling your house? We provide a free staging consultation, pre-listing prep plan, and a Blue Mesa real estate market analysis. Call us at 303-325-5690 to learn more. New to the Area? Call our Blue Mesa real estate agent at 303-325-5690 to schedule your tour of Homes in Littleton CO.